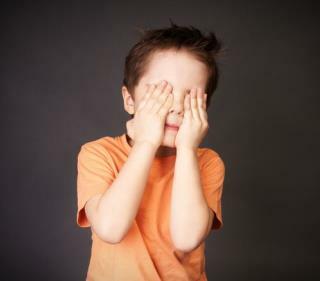 (Newser) – A Canadian boy who went to the doctor this summer ended up screaming in terror when a receptionist accidentally glued one of his eyes shut, his mother tells the CBC. "I thought I was going to faint," says Julia Vavatsikos of what befell her three-year-old boy Vincenzo, who goes by Vinnie. "My son was screaming he was trying to open his eye … it was very, very, scary." Julia had figured it would be simple: On July 1, she took Vinnie to a private medical clinic in Quebec to look at a cat-scratch on his eyelid. Just one doctor was manning the clinic that day, so he brought in the clinic receptionist and asked the receptionist to apply medical glue to the cut. But while the doctor held Vinnie, the receptionist "kind of missed and he glued my son's eye shut," says Vavatsikos, who had initially assumed the colleague who was assisting was a "nurse or medical student." I think this is what as known as "affordable care". Coming soon to a hospital near you! Everyone should note, Quebec ruled to allow privatization of hospitals as state-run hospitals were inferior and to slow to help people.